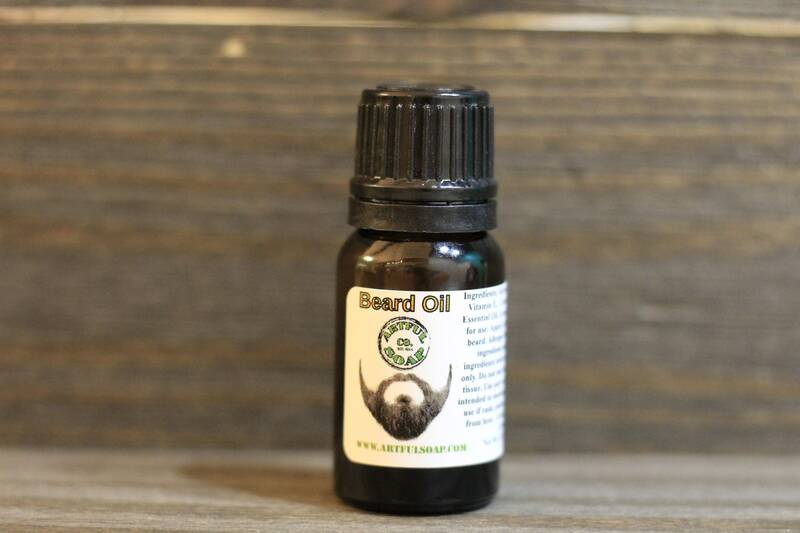 Beard Oil, Natural Beard Oil, 100% Natural, Made with Natural Oils, Cedarwood, Lemongrass, Lavender. Does your beard feel like petting a ticked-off porcupine? Does your beard remind you of a matted, tangled shag carpet? Is your skin itchy and flaky under that beard? Want to get that soft, smooth beard that women love? If you answered yes to any (or all) of these questions, we have the beard oil for you! 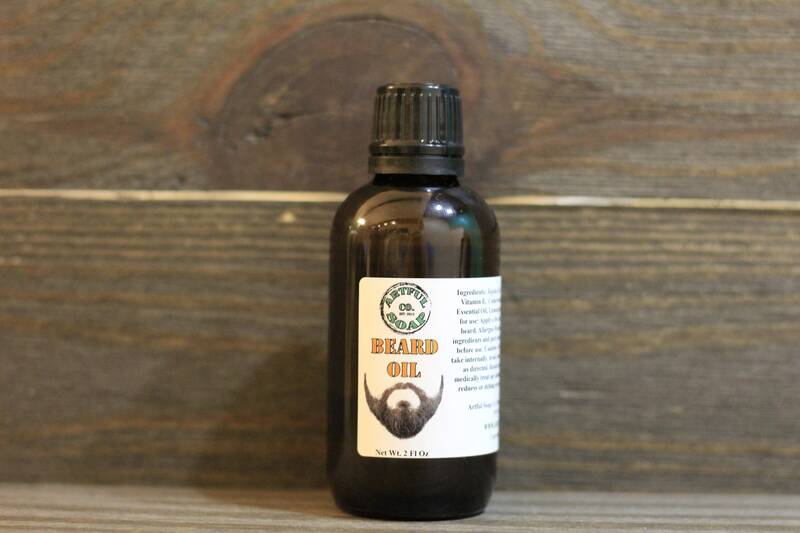 Made with only pure natural base oils and the best essential oils that beards love, we assure you that this beard oil will become part of your everyday grooming routine! We offer 2 different sizes; a .5 oz bottle for short beards that don't need too much love, and a 2 oz bottle for those lumberjack beards that need major attention! Try one today and find out why all the beards in our area use Artful Soap Co. Beard Oil! Artful Soap Co. is not a laboratory or medical facility and makes no guarantees to the treatment of ailments. This product is not intended to medically treat any ailment. Consult a physician if irritation occurs or persists. Results may vary and information used is based on consumer feedback and public knowledge. Ingredients: Jojoba Oil, Avocado Oil, Coconut Oil, Vitamin E, Cedarwood Essential Oil, Lavender Essential Oil, Lemongrass Essential Oil.